Vulcan was the Roman god of fire & the blacksmith of the gods. When his mother Juno first saw Vulcan she was so affronted by his ugly appearance that she threw him into the sea from Mount Olympus, which caused him to become lame. It is ironic that he married Venus, the most beautiful of all the goddesses, although he was the ugliest of the gods. 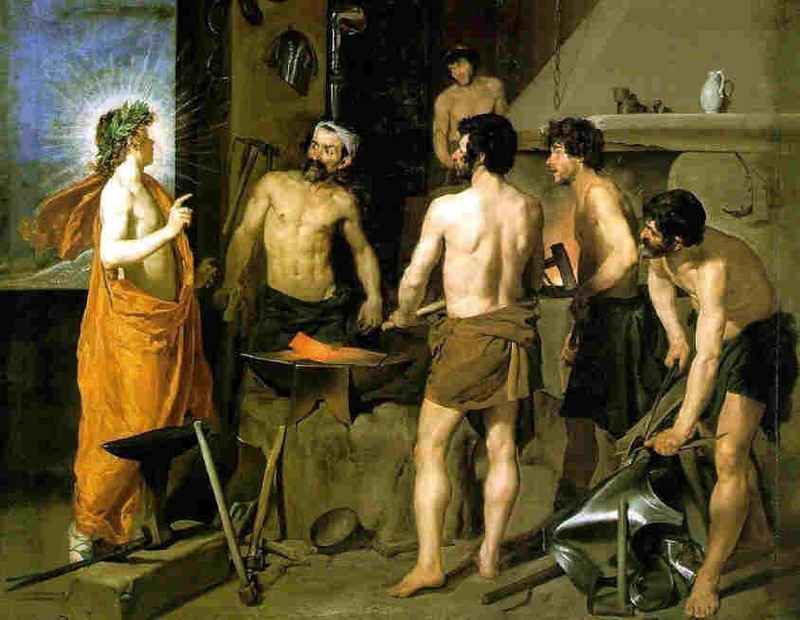 Jupiter gave Venus to Vulcan, in gratitude for the service he had rendered in forging thunderbolts. 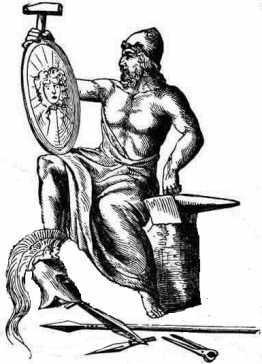 The god was the blacksmith of the gods and worked with one-eyed Cyclopes to create weapons, armor and other amazing items for the gods. The amazing metal working skills of the Roman god of fire enabled him to create fabulous bronze palaces for the gods on Mount Olympus and furnished them with magnificent golden thrones. 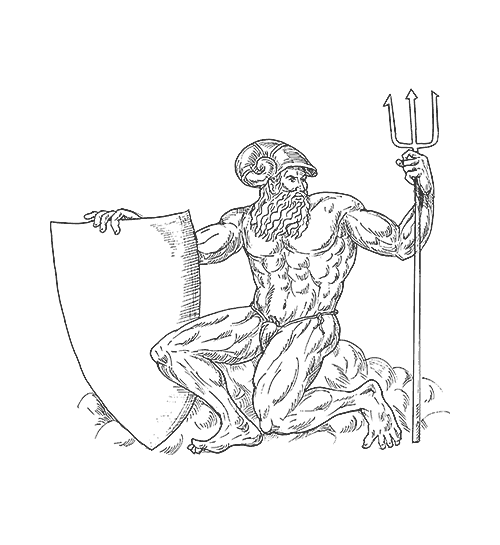 Vulcan was considered as the manufacturer of art, arms, iron, jewellery and armor for various gods and heroes, the divine armor of Achilles. Vulcan also made the bronze giant Talus, that he gave to King Minos to guard the island of Crete. The mechanical giant Talus features in the mythology surrounding Jason and the Argonauts. Discover interesting information and facts about Vulcan, the Roman god of fire & the blacksmith of the gods. The facts about Vulcan provides a list detailing fascinating additional info to increase your knowledge about Vulcan in ancient Roman history and Mythology. Fact 3 about Vulcan: His principal temple was in a consecrated grove at the foot of Mount Aetna, in which was a fire continually burning. Fact 4 about Vulcan: Romulus built a temple in honor of Vulcan outside the walls of the city, because the augurs was of the opinion that the god of fire ought not to be admitted to the city of Rome. Fact 5 about Vulcan: He was highly honored by the Romans who debated the most important issues of the republic in his temple. The Romans believed that they could invoke nothing more sacred to confirm their treaties and decisions, than the avenging fire which was the symbol of the god. Fact 9 about Vulcan: His chief festival, the Vulcanalia was marked by a rite of unknown significance in which the heads of Roman families threw small fish into the fire. The Romans habitually assimilated various elements from other cultures and civilisations, including the gods and goddesses that were worshipped by the Greeks and other nations. When the Roman Empire conquered the Greeks in 146BC many of the Greek gods and goddesses were adopted by the Romans. The Romans simply changed the Greek gods names to Latin equivalents. The Greek counterpart of Vulcan was Hephaestus. The Roman religion significantly differed from the Greeks in that it was officially endorsed by the state and exerted influence over the government of Rome. Politicians took the offices of influential priests, called pontiffs, to gain control of the popular worship, Roman gods and goddesses like Vulcan were worshipped at every public event, including the gladiatorial games, where blood sacrifices were made to the gods. In ancient Rome, the pantheon of 12 major gods, including Vulcan, were called the 'Dei Consentes' meaning the Council of Gods. The Roman gods family tree provides an instant overview of the genealogy and the family connections and relationships between the main deities, including Vulcan, who feature in the legends and mythology of the ancient Romans. The Primeval gods and deities, the Titans and the Roman Olympians.